When it comes to bright stock ideas, it always helps when the company you’re looking at has a unique business plan. 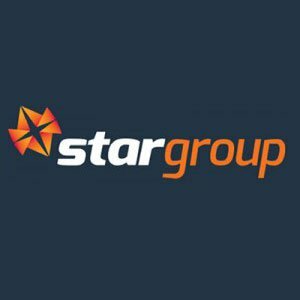 Star Group Ltd (ASX:STL) has formulated its business plan with the intention of overtaking its one and only competitor in the market. Offering robust ATM and EFTPOS solutions for retailers, STL is now poised to become cash-flow positive and focused on scaling up its business via accretive value-add acquisitions that add to the bottom line. What is it that makes STL a bright star in our eyes? They are running a best-of-breed ATM network of over 200 machines and growing. STL has the leading South Korean ATM manufacturer in its corner and on its register (another ASX first) as well as supremely competitive terms with dominant card providers Visa and MasterCard. Before we go too far, STL is a small, speculative stock, and the company’s success is no guarantee, it’s always good to seek professional advice before making an investment. STL is also doing deals left, right and centre with companies that can help roll out its technology even further. The latest is with Anthem Software and Claim Co Group, a heavy hitter in the Fintech space. This deal will enable STL to roll out machines across its customer network of in excess of 50,000 customers. STL is poised to become cash flow positive and on track to record an 8 th consecutive month of record performance. The Company is making money with its EBITDA primed to be in the black for the first time later this year. STL is a company we feel has all the right factors to potentially become the dominant ATM/EFTPOS provider in Australia; a spot currently reserved by Canadian powerhouse Directcash Payments (TX:DCI), listed on the Toronto Stock Exchange (TSX), and capped at C$212M (A$220M). STL is outperforming the prime market player in several key metrics which indicates they not only have a first mover advantage in Australia, but also, a competitive advantage globally. The constellation of the payments is vast, and STL is shooting for a sizeable chunk. 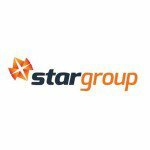 First and foremost, Stargroup (ASX:STL)’s performance this year has been winning plaudits left, right and centre. In the month of October, STL recorded a 12% rise in revenues compared to the previous month. When compared to September 2014, STL saw a year on year 168% increase in revenues. Currently, STL is capped at a paltry $8M despite being on an upward trajectory in several key metrics. This should have shareholders watching the stock very closely. We first brought you STL and its story a couple of months ago in our article, $670BN Payments Industry to Bear Fruit for Aussie Rising Star? In the article we went into detail about STL and why we think it’s a stock to watch. We then followed up with STL to Acquire Cash+, Shoots for Cash Flow Positivity which confirmed our initial hopes that STL is in a great position to take advantage of the ever-expanding payments industry worth over $670BN in Australia alone. – annualised gross revenue of entire ATM network is now $5M. Charted below is STL’s revenue growth (in green), combined with Cash+ (a takeover target soon to be completed) revenue growth since December 2013. For a company currently worth $8M – those numbers to date are a treat. In the chart below, you can see how STL’s monthly transactions have mushroomed over the last 6 months. One added bonus for STL, is that the results shown above do not include the upcoming integration of the Cash+ network of machines into STL’s network. This will add a further 109 machines and add $4.5M in revenue per year. The industry leader DCI, is posting around 511 monthly transactions per machine, compared to STL’s 654 currently. STL has consistently been able to outperform this benchmark and is projected to reach 680 transactions per month subsequent to the proposed merger with Cash+ settling as planned later this month. Buy up existing, smaller-sized operators and add their locations to their own operational network. This is the premise behind STL’s strategy. Each acquisition the company does, further substantiates its overall network and adds revenue to the bottom line. In the acquisition of Cash+, the share/cash consideration may be adjusted to ensure that Cash+ does not acquire more than 20% of STL shares on issue. The acquisition should boost STL’s EBITDA by 181%, taking it from a loss of $732k to a profit of $592k for FY 2014. If approved at the STL AGM on 30 November, this acquisition will add 109 ATMs to STL’s existing network of 121 machines. This adds 1 million transactions to STL’s current number of 800,000, meaning STL will now be handling almost 2 million transactions each year. Here at The Next Small Cap , we see a clear path for all the formalities to be signed, sealed and delivered by the end of the year, allowing STL to continue building its momentum with some of its other products and innovations. 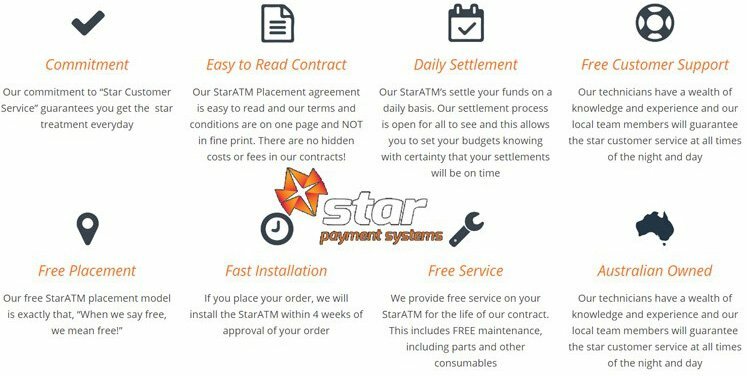 Currently STL’s product offering via StarATM is to supply ATM machines, ATM software, back office and coin counting technologies to the Australian market. 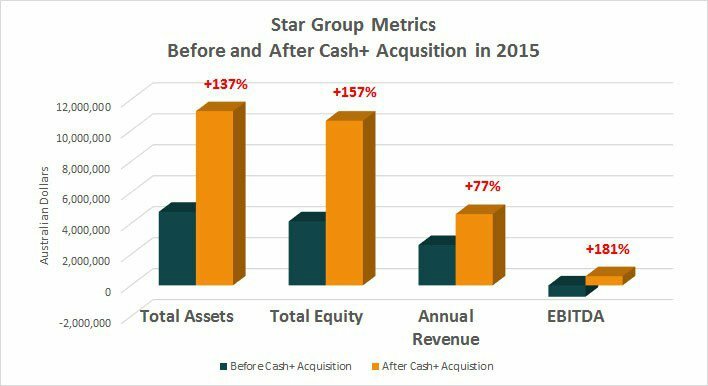 StarATM sales revenue rose from approximately $20,000 in 2014 to almost $120,000 in 2015 – a 500% increase. Now, STL is a speculative stock, so there is no hard and fast guarantee that this kind of growth will continue, so caution is advised before considering an investment, and it’s always good to seek professional advice when weighing up investment options. The innovative and potentially quite lucrative differentiator for STL comes in the form of ‘Recycler’ ATM machines, which allow customers to deposit and withdraw money from an ATM with all accounts being updated in real-time. The only thing standing in the way of Recycler StarATM’s hitting the high street is official certification from Australian authorities. The formal certification of the Recycler is expected in Q1 of 2016 – once this permitting hurdle is cleared, it could even act as a price catalyst for STL. The new Recycler machines are expected to raise the bar for ATM deployers because they are able to fully automate the deposit-withdrawal process for customers. Big banks are currently losing hundreds of millions from operating sprawling ATM networks that bring little back aside from brand recognition on high streets. 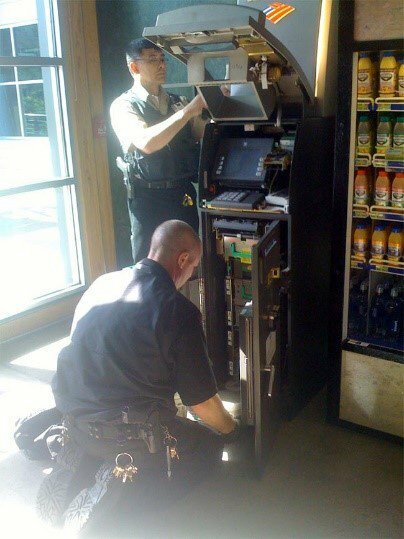 STL’s Recycler ATMs could solve this problem by facilitating cheaper ATM maintenance and servicing for banks. That blue sky is still some way off however, but STL’s product certainly has the potential to disrupt existing inefficiencies in ATM machine maintenance. If you are able to deposit and withdraw your money from a secure ATM machine, would you ever need to visit a bank branch again? For a lot of people, the answer is no. Recycler ATMs are likely to be a hit especially in rural communities where access to traditional banking services is limited or not existent. One example of STL’s growing market recognition amongst event organizers is a recent tie-up with the South Australian tourism commission . STL won the tender to supply all of the ATM machines at next year’s Clipsal 500 event – the largest motorsport event in Australia, typically seeing over 285,000 visitors . Clipsal 500 is the opening race of the hugely popular V8 Supercar competition in Australia, and STL has sneaked in with a 3 year deal. 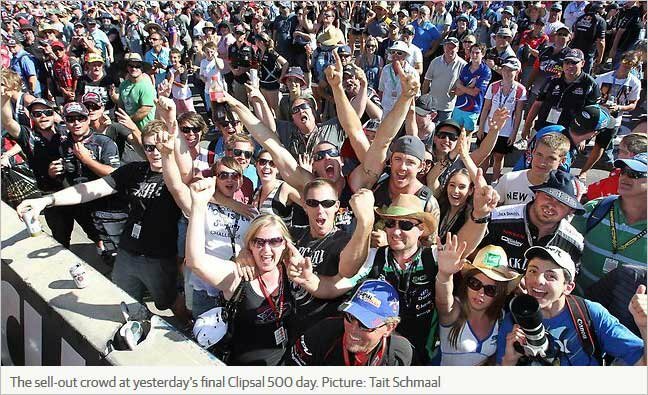 Clipsal 500 is a fun day out for petrol heads and families alike. The 250,000+ crowd is sure to generate frenetic ATM activity across the dozens of retail outlets that will be selling their wares there. ATM machines are a great way to provide on-the-go cash. The better the placement for each machine, the more fees STL earns. That’s all well and good, but what about when people want to pay for things directly without resorting to cash? STL’s StarPOS product is a parallel revenue stream that’s also being developed and brought online. StarPOS machines are provided to merchants to allow cashless payments for customers through the EFTPOS system. ATM machines provide a good bread and butter business model for STL, but as we move towards a cashless society, new functionalities are required to maintain their attraction to customers. In other words, bread & butter is good, bread, butter and jam is better. This is where STL’s StarPOS unit comes in – as a diversifier as well as a fresh revenue driver. STL entered this market by signing a leveraged wholesale agreement with Visa and MasterCard enabling it to roll out its very own EFTPOS machines to its customers – at excellent rates negotiated by industry veteran Todd Zani. He’s a seasoned operator in this space with an excellent track record that saw him float ASX-listed Ezeatm (ASX:EZA) in 2011. When you consider that there’s almost 1 million EFTPOS terminals in Australia, growing at 8% per year, STL is operating in a thriving market. 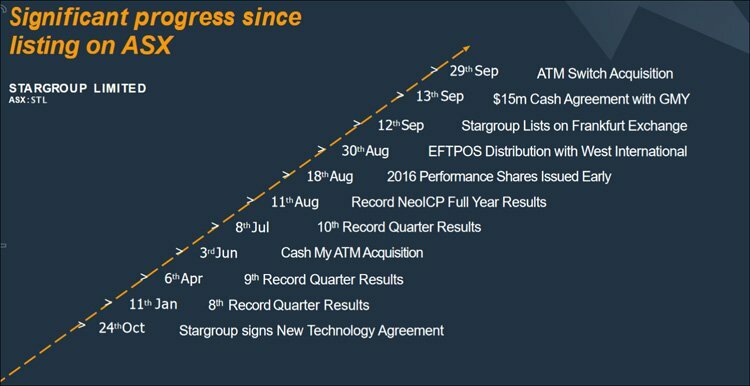 STL estimates that StarPOS will generate net revenue of between 0.25% and 0.85% of the gross revenue processed by each terminal. Any one terminal can process anywhere between $10,000 – $100,000 per month depending on location and venue. Terminals used in crowded areas or at premium venues can generate over $2M per year. That could translate to $50,000 to $170,000 per terminal in annual revenue for STL. 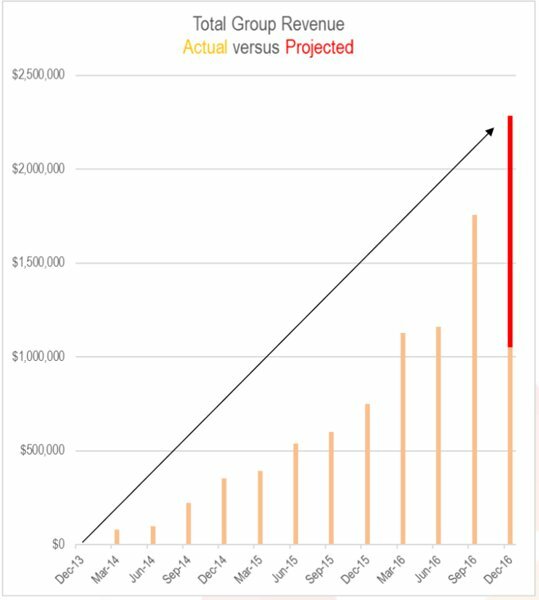 However these kinds of forward looking revenue numbers are no guarantee for STL – so don’t depend on these figures when considering an investment. As part of its technology-driven approach, STL has done a deal with Anthem Software and Claim Co Group, a heavy hitter in the Fintech space, to integrate STL’s StarPOS technology across Anthem’s business customer network in excess of 50,000 customers. One of Anthem’s key customers is Capricorn Society Limited, a member-based organisation which uses Anthem’s back end to process more than $1.4BN of member purchases. STL is hoping the resulting tech will allow it to roll out a bulk supply of EFTPOS solutions to buying groups, debtor financers, franchise organisations and to existing Anthem customers. The great thing about this tech cherry is that STL will integrate the entire payments chain and reduce the need for unnecessary transactions purely for settlement reasons. The deal with Anthem helps to streamline STL’s EFTPOS offering and is a good validation of STL’s innovation-focused approach. Not content with just being your everyday, standard EFTPOS provider, STL has signed a joint-venture (JV) agreement with EFTPOS innovator, First Class Capital Funds Management (FCFM). The agreement will see the rollout of FCFM’s proprietary Retail Merchant Advance (RMA) product next year. The RMA is a service which allows retailers to receive a cash advance for a period of time in order to smooth out their operational cash flow. One of the biggest gripes heard from shop and café owners, is that they have to pay for a bunch of expenses while still waiting on funds to clear or for other payments to settle. This often causes day-to-day operational problems and hampers the running of a small shop or retail outlet. STL and FCFM can solve that by introducing its RMA product which effectively reconciles existing cash flow worries by making small cash advances (short-term loans effectively) which are recouped from future sales and revenues. The whole concept has been thought out and includes security measures such as basing exposure on historical performance and having the entire process chain fully automated. The JV means that FCFM will now use StarPOS, as its preferred EFTPOS supplier – a glowing endorsement for STL. To implement its strategy of growing its ATM network whilst spreading its presence in the EFTPOS payments space, STL has just raised money from investors. STL invited investors to participate in a two for five pro-rata rights issue with an attaching option which was fully underwritten by two major shareholders, Paterson Securities and Pac Partners. STL is issuing 93M new fully paid shares at $0.035 per share , and 46 million options with a strike price of $0.05 to raise $3.3M. The rights issue as well as STL’s proposed takeover of Cash+ will both be completed on 30 November 2015 – which also happens to be the date of STL’s AGM. If everything goes to plan, STL could even serve up a price catalyst as the market realises both the potential AND actual performance of this well-positioned, undervalued company. STL serves up ATM machines with a twist and EFTPOS services with a difference – but does STL have any other tricks up its sleeve? STL is working hard on entering an entirely different market niche to traditional cash and non-cash payments. Casinos are places where people go to spend money in the hope of winning more than they arrived with. This leads to thrifty spending which is one thing and STL’s machines are going into casinos to take care of that. But what about the casinos themselves? Could they benefit from STL’s tech? By installing STL’s Recycler technology underneath gaming tables, STL will allow any casino to open its tables for longer because all settlement is done automatically in real-time as the table is being used. Casinos are likely to save heap of cash over time by reducing human error during counting and having tables open for longer. STL and its South Korean technology manufacturers, NeoICP are currently trialling this innovative technology in Macau – the world’s 2nd largest gambling hotspot. If successful, STL will be angling for a slice of the total table revenue each day, therefore generating yet another revenue builder that diversifies the overall business model. By installing its machines in casinos, STL could see revenues per machine rise significantly. STL has a simple and effective business strategy that is relatively insulated from other competition. Not only that but STL’s technology offers an unparalleled operation advantage that is coming up trumps already, as evidenced by superlative performance metrics that outshine even the industry’s brightest name, DCI. The good news for investors is that this particular star is still at an early stage of commercialisation which explains the lowly $12M market cap. We feel this valuation doesn’t fully reflect the value and potential for STL which is why we’re updating our readers. The next key milestone is STL’s AGM scheduled for 30 November 2015 and a Q&A with the CEO to take place in early December where interested parties can field any questions they have about the business. Once that is out of the way, keep your gaze on the market sky for a star in the making. South Korean ATM Investment to Re-rate STL?